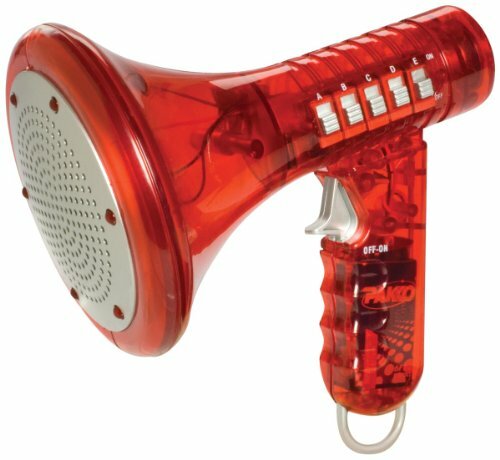 This multi voice changer is lots of fun for children, yes even for adults! Ten different voice modifiers in one 6.5 inch voice changer! Use the side levers to create even more variations. Features flashing LED lights. Requires one 9V battery, included. Comes in assorted colors, yours will be chosen at random from stock.